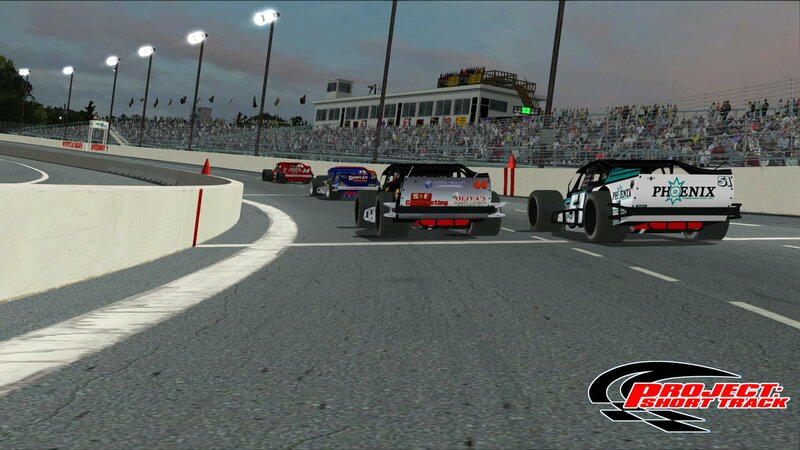 In our continuing efforts to recreate and update important short tracks for NR2003 visited by some of the nation's top short track touring series, PROJECT: Short Track presents the popular and historic Myrtle Beach Speedway in South Carolina. The track is a moderately banked (13 degrees in the turns and 5 degrees on the straightaways) 0.538 mile asphalt tri-oval with a pit road for 40 cars and the pace car. - All new main tower objects. 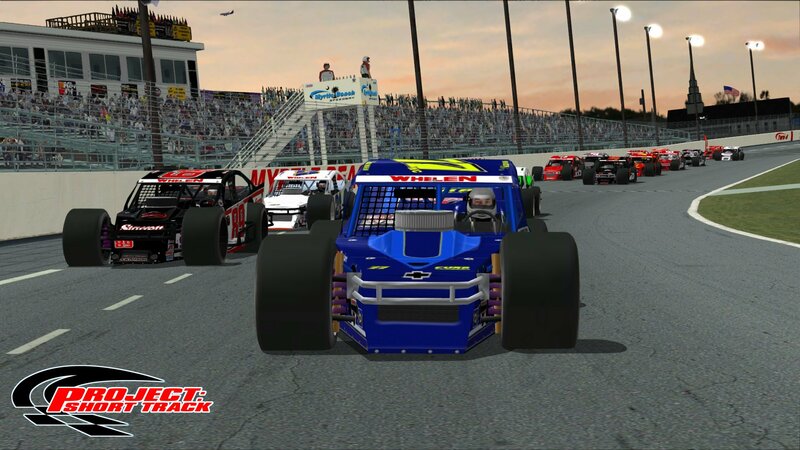 - Many animated flags based off of what was displayed at the 2018 NWMT race. - All new buildings and textures. - All new buildings (church, mall buildings, etc.) behind turns 3 and 4 to recreate the real life appearance. - New track surface paint lines modeled after their real-life configuration. - Animated 737 Jet flyovers to and from nearby Myrtle Beach International Airport. - Recreations of actual real-life NWMT team haulers. - Recreations of actual real-life MBS infield support box trucks (Hank Thomas Performance, Safety Kleen and Hoosier). - New A.I. Lps, tuning and balancing. - Enhanced night environment shading and shadows. - Custom twilight skies by Mciarlo and session progressive night skies made by PST. - Numerous other features unique to Project: Short Track builds. I would also like to acknowledge Barry Cold of the NR2003 community who answered my online plea for someone who lived in the Myrtle Beach area to go over to the speedway during the day and take some reference photos of a particular billboard. 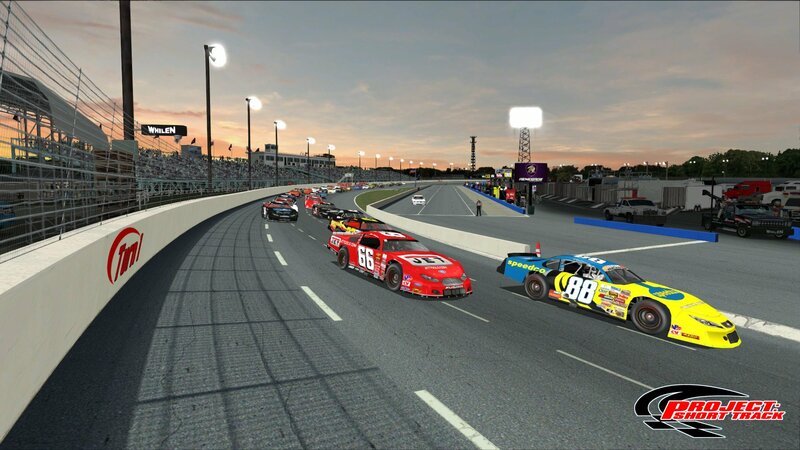 Not only did Barry get some shots of the billboard in question, but he forwarded me over 100 photos of just about every inch of the Myrtle Beach Speedway facility. He did this on a very hot South Carolina Summer day, by the way, which made it even that much more impressive and generous. I can tell you that these reference photos are invaluable to a track editor's ability to produce a highly detailed track with it's unique objects and characteristics. Thanks very much Barry for your efforts which proves once again what a great and giving sim community we have for NR2003. As is the case on all of our PST projects, thanks also go out to Ben Althen, Wayne Anderson, Ian Smythe and Carl Sundberg who all made significant contributions to this project. 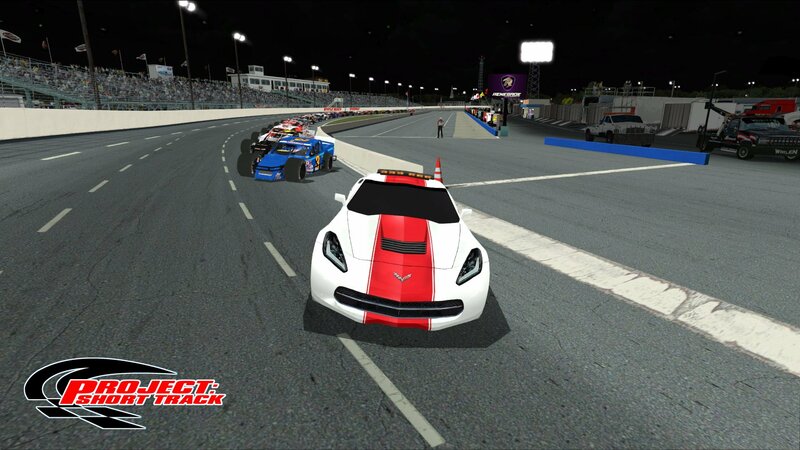 While a lot of attention went into the track, it's objects and surroundings, a good amount of effort also went into enhancing the racing experience against the A.I.. Two distinct racing grooves were created to give you and the A.I. opportunities to make passes on the outside as well as the inside. Tires give up fast here, so you can choose to employ a tire management strategy or "go for it" right from the drop of the green. And our baseline Fast setups should get you competitive right out of the box. In closing, please be sure to read the CREDITS README file provided with the track acknowledging all of the objects, etc. 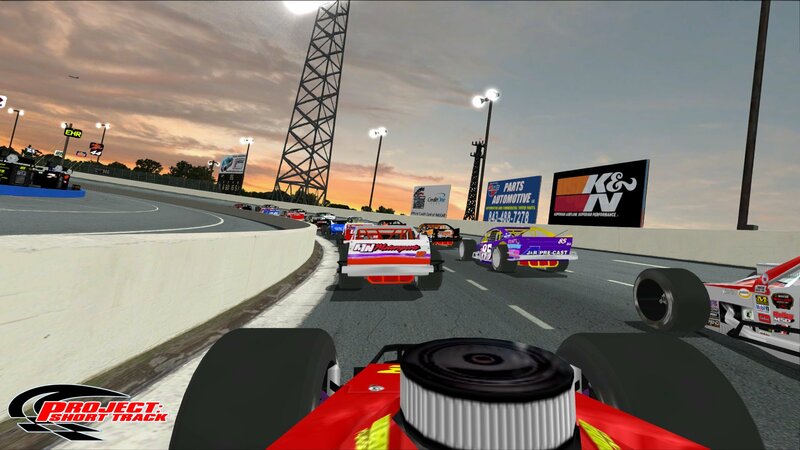 made by the many talented people in our sim community that helped make this project possible, as well as info on how to get the best results when racing on the track in NR2003. 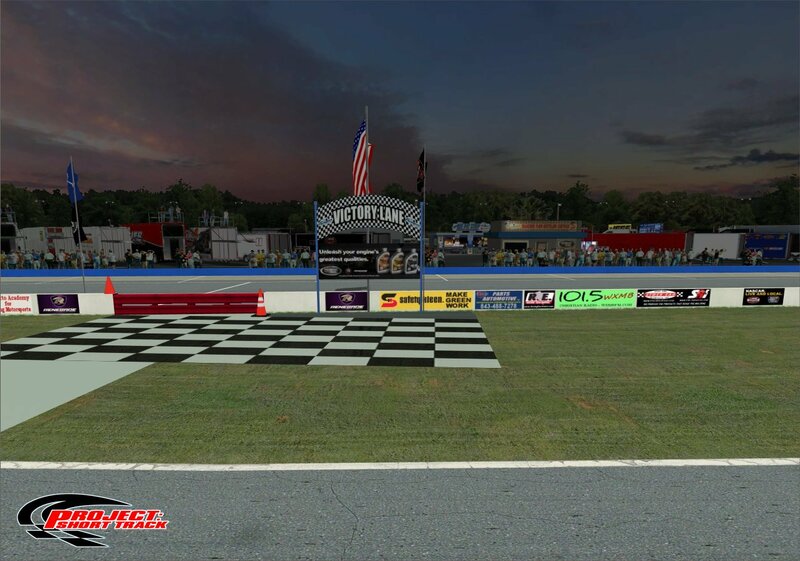 And with that.. PROJECT: Short Track presents Myrtle Beach Speedway 2018! We hope you enjoy the intense racing action you will experience on this awesome track. frow78, SpeedMaster14, OKUM and 3 others like this.